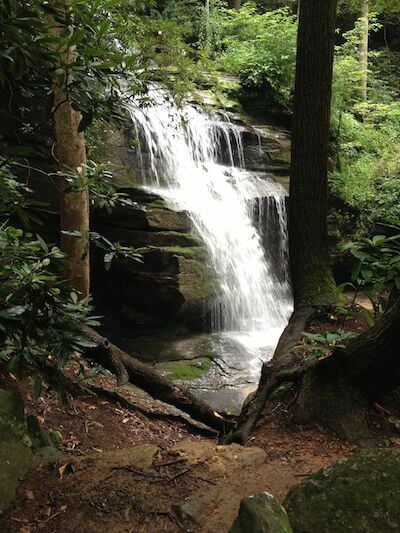 RV air conditioners are one of the best features you can have when the weather outside is HOT. It will keep your interior cool and comfortable during the day and at night. There are some that use ducts from the ceiling to disperse the cool air and there are some that cool from one place. Some of your larger type RV's may have two units. A thermostat controls how cool you want the inside to be. Simple to operate with a slide control, you turn the switch to cool - automatic and slide the control to the temperature you want. It will cycle on and off as it is set. If you just want a fan to blow, you can have that, also. The filters that are used for the air conditioning will need to be inspected and cleaned periodically. They can be removed to clean or replaced. Sometime just a good vacuuming will do. Other times you may need to run water over it to clean the dust off. The vents are mounted on the ceiling and can be adjusted for air flow. Some can also be rotated to direct the cool air where you want it to be felt more. Be sure to check your manual on the use of your A/C unit. Never try to run it just on battery power. It is a 120v appliance. It is a major appliance and needs to be maintained as one. They cool very well and are just about maintenance free. Be sure to get the right size for your RV. RV air conditioners are expensive to replace, so make sure you take the best possible care of yours. Inspect the roof unit periodically to be sure there is no damage to the cover. You never know when a low hanging limb at the campground will snag on it. If you find the A/C doesn't cool as it used to, take it to an RV dealer to get it checked. It could be low on refrigerant (Freon, for example) and they are trained to inspect the unit and fill it up. Never attempt to do any repairs yourself. I count the RV air conditioner as a luxury. 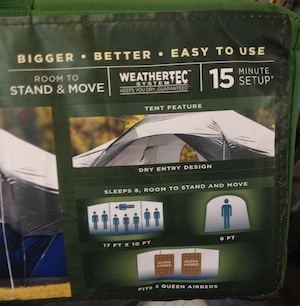 When camping in a tent, you don't have that kind of air. You can put a box fan in a tent, but it just don't cool the hot temperatures. All they do is circulate the hot air around. We have seen some tents with portable air conditioners in them. These are plugged into the electric box and set inside the tent door. Now I don't know how well they work, but I guess that is a good option. Remember to use safety precautions when using any electrical appliance in a tent. Make sure the box fan doesn't tip over during the time it is on. It may overheat and burn. Severe damage can cause the tent to be unusable. 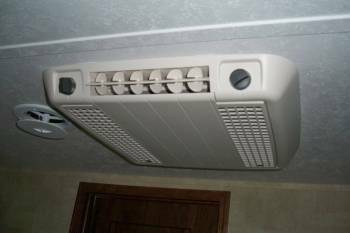 RV air conditioners need to be used properly. Please read your owners manual for your camper for proper usage. Use common sense when in any emergency situation. Use your fire extinguisher when needed. Never try to fix any wiring yourself. Take your camper to an authorized dealer to have any type of repairs done to any part of your camper. The warranty should cover any problems you may have. If your camper is out of warranty, get a good yearly checkup on all your appliances by the dealer. This may save you lots of wasted money on unnecessary repairs later. Have A Great RV Tip To Share? Do you have a great RV tip you have used? Share it!